I have a thing for layering dresses over jumpers at the moment. I think it must have come from the slip dress layering trend, but I've moved onto other dresses. Don't you agree the pink dress and monochrome stripes go perfectly together? Boots and tights had to be added because Winter... Winter is coming and it's cold. Way too cold. I'm definitely a Summer person. 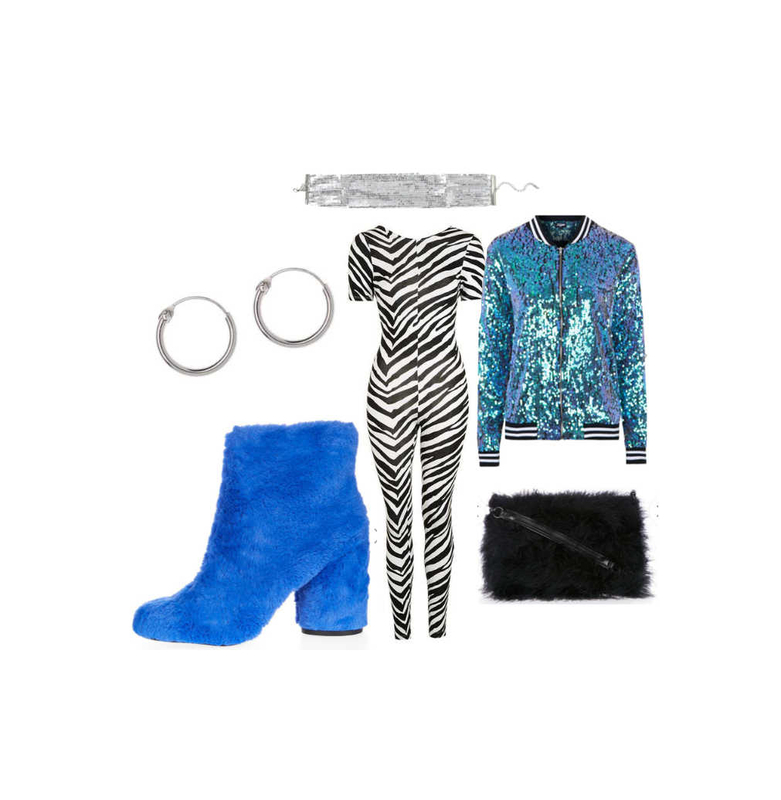 If I ever get the chance to wear this outfit I deffo will have evolved into my final zebra-mermaid form. I kind of really want to try a unitard? I never used to be keen on them, but this zebra print one has turned me into a believer. And what's a Winter night out if you don't wear sequins and fluff? Not one I want to be on. My fave of the three. Takes the casual hoody and leggings to the next level. I feel like I'm going to have to invest in a pair of crushed velvet leggings. Velvet is on trend every Winter (this one especially), so a pair of comfy, easy to wear velvet leggings are gonna stay with me for a good few years. I think the glitter scrunchie completes this outfit for me.